You’ve worked hard all your adult life, honored your responsibilities, and paid your dues. Perhaps the kids have grown and are embarking on adult lives of their own. Perhaps you were the caregiver to an elderly relative who recently passed in your home. Perhaps you’ve found the never-ending maintenance, yard cleanup, and upgrades to be a burden. Perhaps your large home just isn’t what it used to be. It’s no longer your castle. It might be more like shackles, holding you back from the things you want to do in life. Downsizing isn’t just about the size of your home, it’s about finding a life full of meaning and independence. Remember all the things you’ve always talked about doing like, learning a language, travel to far off destinations, see the country/state you live in, visit distant family, write a book, volunteer, or simply spend quality time with the one you love? There are so many options when downsizing. You could choose to stay in your neighborhood, but in a smaller home with a smaller mortgage and less in the way of maintenance. You could move to a neighborhood more suited to your changing demographic and find new friends to help you discover and explore your new location. You could even sell it all and hit the open road in a recreational vehicle. The point is, the sky is the limit. You don’t need to hold on to that which no longer suits your changing lifestyle or family dynamic. 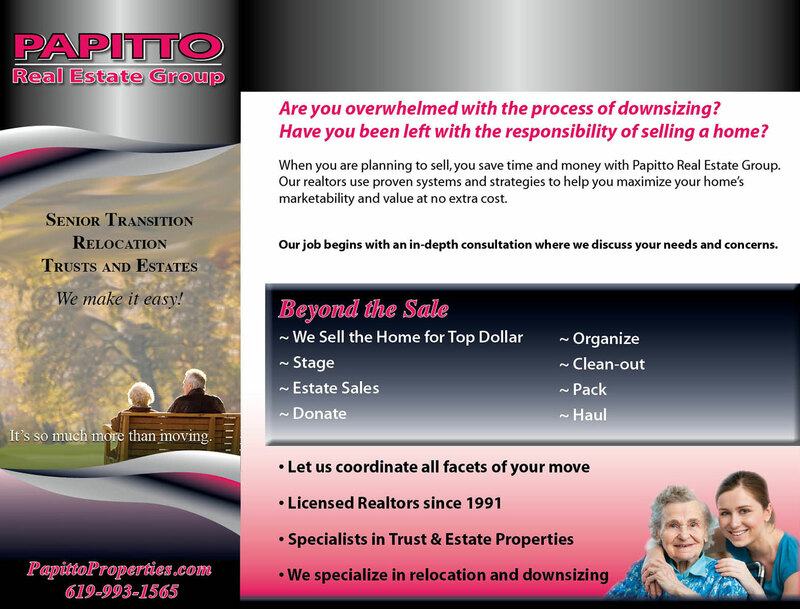 Let us help you achieve your goals in upsizing your life by helping you downsize your home!